Twelve years ago Jodie saw something terrifying. She saw something no little girl should and she had to live with the devastating aftermath. Both her parents were dead and she only had her Aunt Gene to rely on. For a while Jodie’s mind had blocked the thing she saw and once the nightmares stopped Aunt Gene thought she was safe forever. But now the thing is back, its a sound only Jodie can hear, a sound more chilling than human screams and what happened that night so many years ago, refuses to be silent anymore. OK so I wasn’t expecting to be as shocked and scared by this book as I was. It chilled me to the bone and made me think there was something behind me, watching me, as I read every page. I had been going through a reading slump when I picked Killing Sound up and I honestly wasn’t expected to be gripped by any book. I started reading and made my way through 50 pages in no time at all. The introduction to Jodie’s father followed by a couple of chapters from the ‘before’ were enough to seriously intrigue me and I really just had to keep reading. As the book went on the weirdness because creepiness and then into full blown terror. This book sneaks up on you like the demon within it, as you read it that creepy feeling gets closer, and closer, and closer.. I loved the pace of this book and I think it fit with the story perfectly. It was fast paced when it needed to be and slowed down when you need to understand something. I loved that I was kept on my toes whilst reading and I really enjoyed the feeling I got of actually being in London when I was reading. The characters didn’t do an awful lot for me to be honest and I really felt like thats what let the book down a bit. I didn’t understand why Jodie seemed to have only Luca (her boyfriend) and his mate as her friends and no one else, and I didn’t understand the whole thing with Laura and Trent and their stance against Jodie. I couldn’t shake the feeling that there was a backstory between Laura and Jodie that was completely missed and was more than her jealousy when it came to Luca. It let the book down a fair bit but the main characters didn’t do anything to make me hate them so it was just a small downside. I thought the stuff with Jodie’s Father and William Habborlain was the most interesting thing to do with the characters directly and I kinda appreciate the route the author chose to take William on. I did love this book, I thought it was the best at producing the level of eeriness that fits in with the story. It also featured interesting developments when it came to science and mythology, with some of the science and facts discussed actually being real. I really enjoyed the link between the paranormal and the unheard and I loved what the author did with something that is really just kinda of an every day thing. I would really recommend this book especially if you like horror stories, but just be warned, its not for the faint hearted. 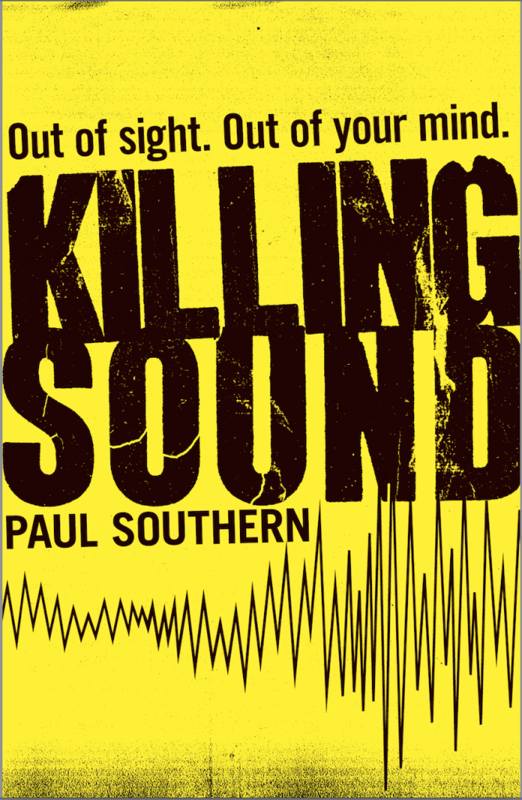 Killing Sound was published on September 4th by Chicken House Books. My copy was sent from the publisher in exchange for an honest review. Please visit my blog tomorrow for a guest post from the author.